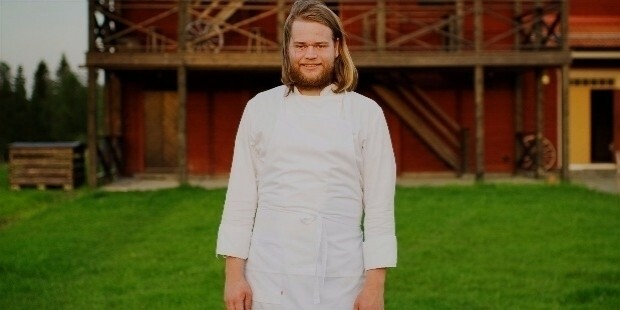 With his robust build, bearded countenance, and long blonde hair, Magnus Nilsson is easily one of the most famous chefs in the world who could easily pass for a modern-day Viking warrior, and the restaurant at which he is head chef, Fäviken, is equally memorable. The more you learn about Nilsson, the more you realize that Nilsson is not so much a simple chef, but an artist whose medium happens to be food. All his life, Nilsson has been something of an innovator, an experiment, someone who is not willing to take things as they are. 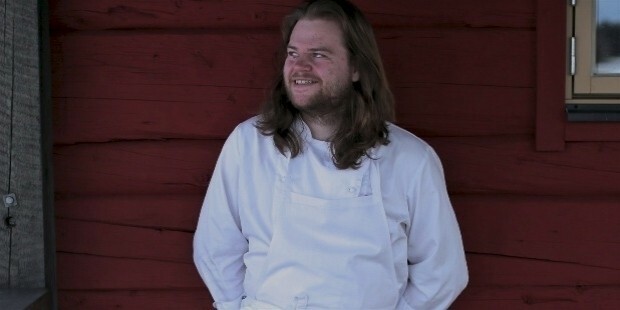 Nilsson is a man who constantly pushes the envelope of cuisine, something evident from how he runs Fäviken. This critically-acclaimed Swedish restaurant is easily one of the most daring and inventive restaurants in the world, as well as one of the best. 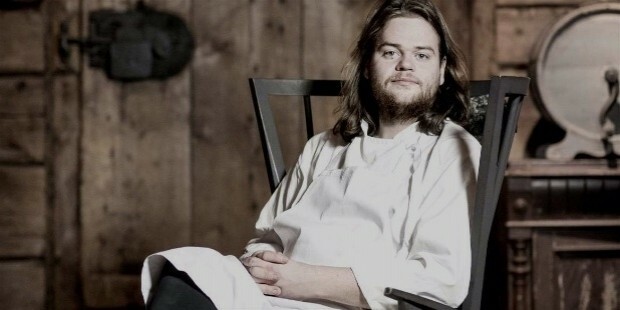 And for that, it has Magnus Nilsson to thank. Nilsson was born and raised in Jämtland County, Sweden. Jämtland, then as now, is a fairly sparely populated place, featuring virgin forests, isolated lakes, and many secret hideaways for people to discover for themselves. At first glance, it is not a place where one would ever expect a world-famous chef to run a restaurant. Nilsson himself grew up in a place most people would find exotic; from an early age, he hunted and fished all around Jämtland. Nilsson admits to not having been particularly fond of his hometown when he was young, though he has certainly come to appreciate it now. He of all people can appreciate the natural beauty of Jämtland, unspoiled as it is by many of the encroachments of modern life. As a matter of fact, a considerable part of Nilsson’s philosophy of cooking comes from his experiences of Jämtland while growing up. 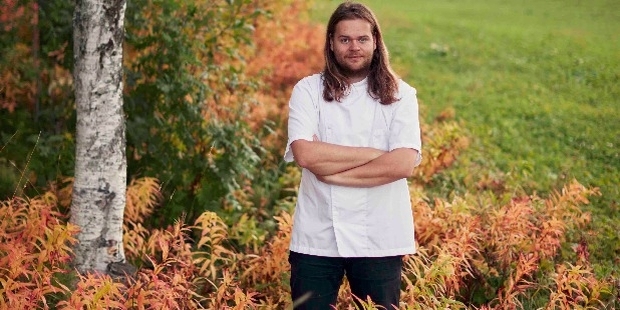 When Nilsson finally made the decision to be a chef, he studied at the best school he could find nearby, a culinary school in the Åre Municipality. In a twist of fate, his school is relatively close to where Fäviken is located. Even while he was a young student at culinary school, Nilsson was noted as being an innovator. He always had this drive to experiment and innovate, even and especially when a recipe called for something else. 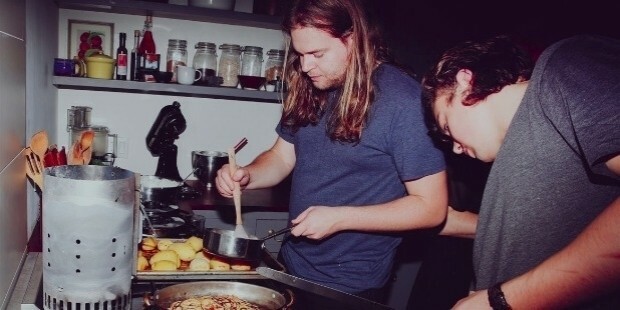 In fact, whenever he was tasked with following a recipe, it was immediately clear to his teachers that he felt unsatisfied and stifled by doing so. Eventually, Nilsson graduated from culinary school, and like many other aspiring chefs, he made his way to Paris. Like many chefs who have experienced it will tell, it was not the easiest of decisions. As a city seen as a haven for chefs and cooks of all stripes, it was not easy for Nilsson to find a job; it did not help that Nilsson did not have the best grasp of the French language. Still, he soldiered on, sending his resume to every restaurant available, all to no avail. Eventually, he struck gold and found a job at L’Astrance under Pascal Barbot, where he stayed for three years. Eventually, he and Barbot made plans to open their own restaurant elsewhere in France. However, the financial crash put an end to those plans, forcing Nilsson to think of something else. He eventually returned to Sweden, and settled in Stockholm. Unfortunately for Nilsson, he hit something of a snag upon returning to his home country. He became frustrated with the lack of easily-acquired ingredients in Scandinavia; ingredients which were more readily available in Paris. He also found he lost his “voice”, so to speak; many of the dishes he made while in Stockholm were what he thought of as copies of dishes from L’Astrance. It seemed to Nilsson that all he was doing was regurgitating other people’s ideas rather than developing his own. This was such a crushing blow to him that he swore off cooking, seemingly forever, and turned to oenology. Nilsson thought he might have better luck with himself as a wine writer. During this time, Nilsson was approached by the new owners of an estate called Fäviken to put their wine cellar together as a sommelier. Initially believing it to be a simple consulting job, Nilsson agreed. Besides, his wife was pregnant with their first child, and he desperately needed a job. Nilsson’s was originally under contract for three months, which was later extended to a year. Eventually, he was offered the position of head chef for want of any other candidates. At the time, Fäviken had been a less experimental restaurant. Described by Nilsson himself as a “moose-fondue restaurant”, Faviken initially catered to passing hunters and hikers, and the occasional rich businessmen out on retreats. But when Nilsson took over, everything changed. It was around this time that Nilsson reinvented Fäviken into what it is now. 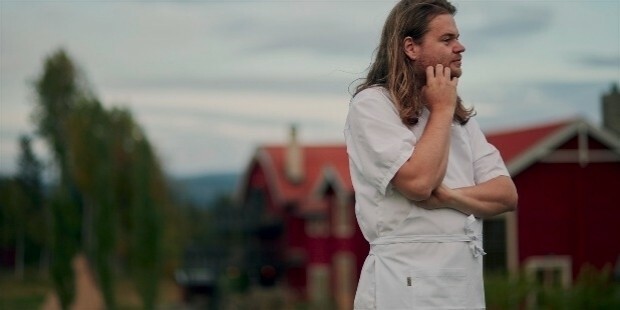 Faviken is now a very exclusive restaurant that only seats a dozen people at a time. One must first make a reservation, then travel to Sweden, then travel to the restaurant itself, which is very off the beaten track. Dinner at Fäviken costs roughly £250, not counting the cost of travelling all the way there. But the complicated logistics has not damaged Fäviken’s reputation in the slightest; as a matter of fact, the restaurant continues to thrive, as gourmets and connoisseurs of all stripes flock to Fäviken to sample their food. In addition to running Fäviken, Nilsson has also compiled a historical cookbook, The Nordic Cookbook, which details recipes and cooking and preservation methods that have been used in Scandinavia for centuries. 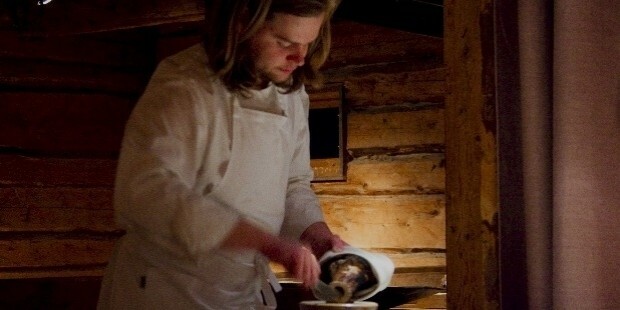 Many of those methods inform Nilsson’s approach to cuisine; at Fäviken, Nilsson often makes use of traditional methods of cookery and preservation. The restaurant even maintains a traditional root cellar to store their produce and meat until they are properly aged. In Nilsson’s mind, many of the traditional methods are more sensible than modern ones, particularly if he wants to get the most out of his ingredients. As a result, Fäviken uses nothing but whatever ingredients can be farmed, hunted, or produced locally, with a few exceptions such as sugar. For Nilsson, cooking is about pushing the envelope and never being satisfied with things as they are. In his mind, things can always be made better, that there is always room for experimentation. Another thing he believes in very seriously is his belief that all the little details matter. Nilsson takes great care to be selective with his ingredients and methods. One dish at Fäviken, a scallop dish, is cooked in its own shell, and served on a plate of grass and branches, giving off the visual impression as if it were something just picked up off the forest floor and served upon the table in front of a gastronomically adventurous Fäviken diner. It is not enough for a chef to consider how a dish should taste, he should also consider how the ingredients should synergize with one another, how everything from cooking to preservation contributes to bringing out the very best in a dish. In short, what Nilsson does is to elevate cooking to the level of art. Presently, Nilsson still lives in his birthplace of Jämtland, in the locality of Morsil, along with his wife, Tove, and their three children. He also keeps a gun dog, Krut, for hunting. In keeping with Fäviken’s known preference for supplying itself with local ingredients both farmed and hunted, Nilsson is a hunter and a fisherman, particularly of black grouse. As a matter of fact, he even catches the fish served at his restaurant. Among Nilsson's stellar achievements in his professional career as a chef includes the White Guide Global Gastronomy Prize, as well as receiving his second Michelin Star rating in 2016 for his incredible work at Fäviken.